If you live on the Coast in San Mateo County, you may hear this weekly Tsunami siren. If you do NOT hear it at 10:00 am on Wednesday, then you do not live in the Coastside Tsunami Zone! If there were to be a real Tsunami, simply walk, bike or drive to the nearest high ground, where you no longer can hear the siren. Do NOT clog the highways, as first responders need to move freely and quickly. But it never hurts to be prepared. First off, how do you know if you should be worried in the case of a tsunami? 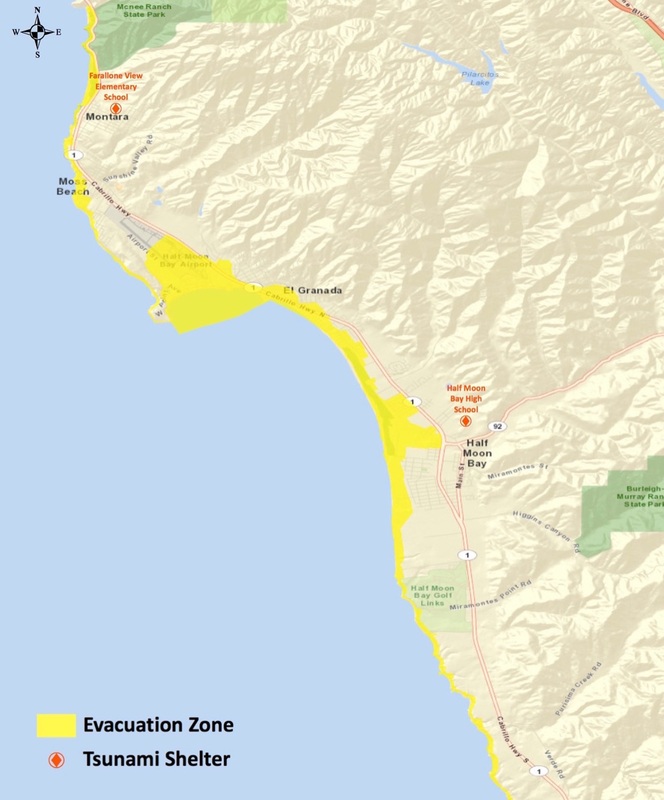 If you can’t hear the tsunami siren, which goes off in English and Spanish every Wednesday at 10am, then your home or office isn’t in the tsunami zone (check out the map for details!). If you hear the tsunami siren anytime besides Wednesday at 10am, do NOT get in your car! You can walk out of the tsunami zone in 10 minutes anywhere on the Coastside. Traffic gridlock means that first responders won’t be able to get to those in need. The tsunami siren will give four hours of warning on average, so you have plenty of time to get to safety! SMC ALERT is free. (Your carrier may charge you a fee to receive alerts on your wireless device). SMC ALERT is available in all cities and towns in San Mateo County. Please read the FAQ’s for more information.